My inspiration for this was really a combination of things I liked. After all, I had already spent the morning treating myself to extra rest so why not treat myself to foods I enjoyed. My all-time favourite breakfast is eggs benedict. 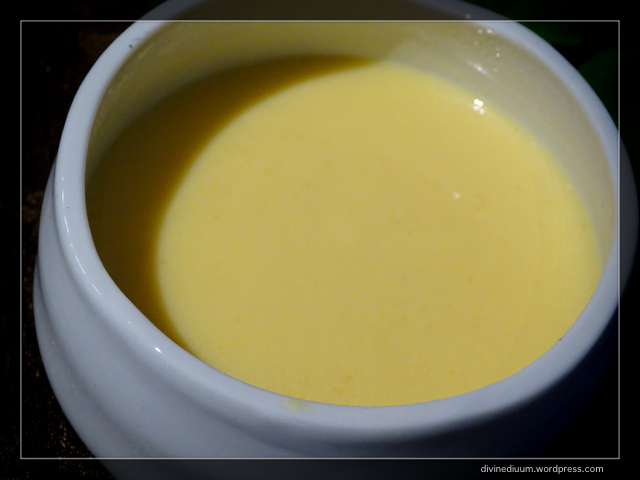 I didn’t have the time to make Hollandaise sauce, nor did I want all the calories but I do know how to make a good avgolemono sauce (lemon sauce that is very similar) so I whipped that up. Being Spanish, we are bigs fans of proscuitto ham (in Spain we simply refer to it as jamón, or ham). I remember trying a pizza that I loved last year. You might be wondering what this has to do with my brunch? The pizza had arugula, proscuitto and thinly sliced lemon. 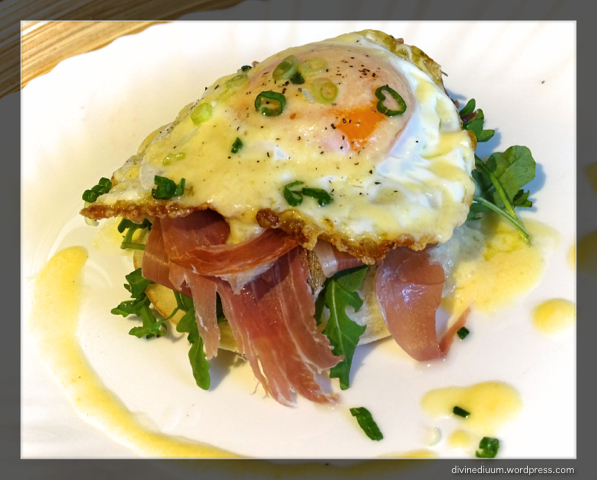 It was a great combination that I wanted to reproduce in a brunch style. With the lemon sauce ready, all I needed was the arugula and proscuitto. Because I wanted to try out something similar to eggs benedict, I added a crispy fried egg as well. If you are not familiar with arugula, you may have already had it without knowing. It is often is spring salad mixes that you can buy. It looks like a strange shaped spinach leaf but has a very distinctive, peppery flavour. The French call it by the name roquette, which is how I first discovered it. Rather than use English muffins, I opted for buttermilk crumpets. Both would be ok to use and if you want to try making your own crumpets, even better. Crumpets are pretty easy and if you are interested, food.com has a standard recipe for it. They are basically a griddle cake made from a batter like one might make pancakes. I found pre-made ones at the store. This was the perfect opportunity to test out my flavour combinations. Assembling is easy once everything is ready. Toast the crumpet and place a healthy handful of arugula on top. Add proscuitto. 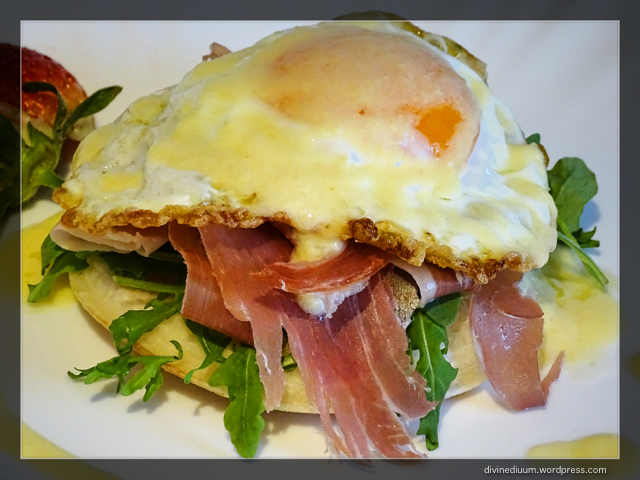 Place a fried egg on the proscuitto. I like my egg runny so that when I break the yolk, it runs and mixes with the sauce. Layer in this order because when you add the fried egg, it will wilt the arugula if it is placed directly on it. Finally, drizzle the lemon sauce on top. 2. 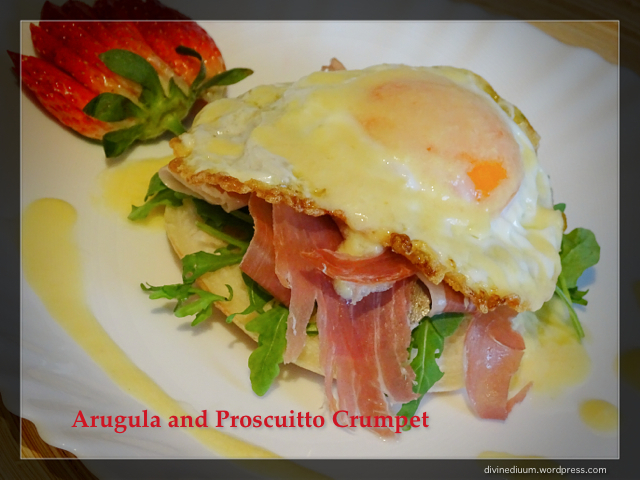 Place arugula and then proscuitto on the toasted crumpet. 3. 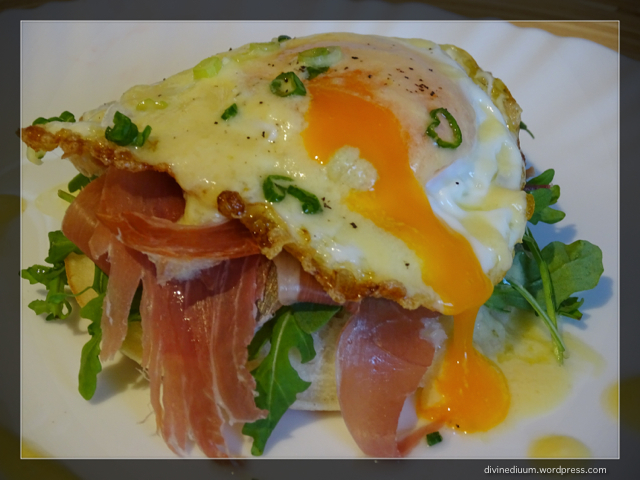 Put the fried egg on top of the proscuitto. 4. Drizzle the open-faced sandwich with lemon sauce.